Below you can view all the homes for sale in the Grandview subdivision located in Suwanee Georgia. Listings in Grandview are updated daily from data we receive from the Atlanta multiple listing service. To learn more about any of these homes or to receive custom notifications when a new property is listed for sale in Grandview, give us a call at 404-998-4113. 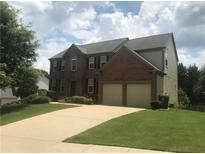 Walking Distance To North Gwinnett Hs. New Roof 2018 MLS#6532022. Chapman Hall Professionals. 2010 Roof, Newer Hvac, 2016 Water Heater And Brand New Carpet. MLS#6532586. Chapman Hall Professionals. Active S/T Amenities. And It'S Suwanee! ! MLS#6523392. Berkshire Hathaway Homeservices Georgia Properties. Impeccable 2-Story Home Features A Large Bright Living Room W/ Wall Of Windows, Bright, Immense Kitchen W/ Breakfast Area, White Cabinets, Island, & Plenty Of Counterspace, Secondary Room Off The Living Room Could Be An Optionally Office Or Bedroom, Oversized Master Bedroom Has Trey Ceiling, Large Windows Bring In Tons Of Natural Lighting, Master Bathrooms Offers His & Her Walk-In Closets, Soaking Tub & Separate Shower, Expansive Backyard To Relax And Entertain Family & Friends. MLS#6520425. Yates Estates. Cul-De-Sac Lot With A Wonderful Private Backyard. MLS#6517140. Realty One Group Edge. Stainless Steel Appliances, Roof & Both A/C Units All Less Than 3 Years Old. Tankless Water Heater. MLS#6514425. Mark Spain Real Estate. Active Swim/Tennis Community With A Playground. MLS#6511865. Realty One Group Edge. Come Home To All That Suwanee Has To Offer! MLS#6506206. Keller Williams Realty Atlanta Partners. The Community Amenities Are Second To None! MLS#6505829. Keller Williams Realty Atl Part. New Counter Top Will Be Replaced Too. MLS#6127007. Great Brokers Realty, Llc..